Bolt down table base. Heavy duty, all welded steel construction for commercial and industrial fixed table and counter applications. 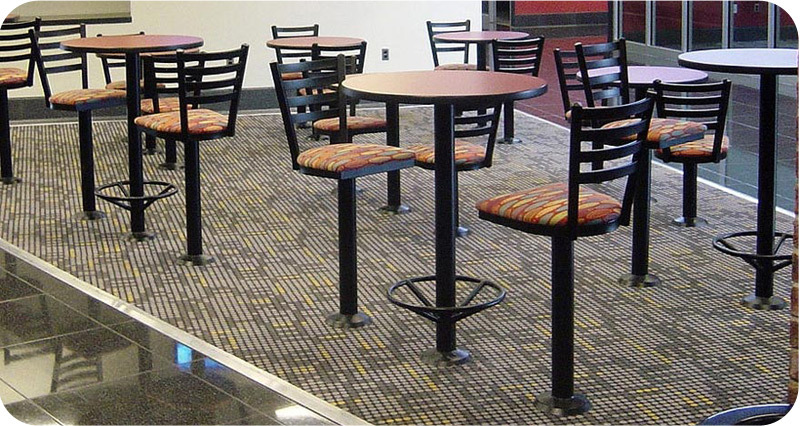 Heavy duty bolt down table base available in dining height, bar height and custom height. Table Base Steel Top Plate is 10 3/4" X 10 3/4". Table Base Steel Bottom Plate is 6 1/2" Diameter X 1/2" Thick with four 1/2" holes for floor attachment. Table Base Steel Column is 3" Diameter. 8" Diameter Steel Escutcheon Cover Also Included. See Below. Custom height cutting service also available. Which reveals welding and burnishing marks on the steel column, footrest and escutcheon cover. 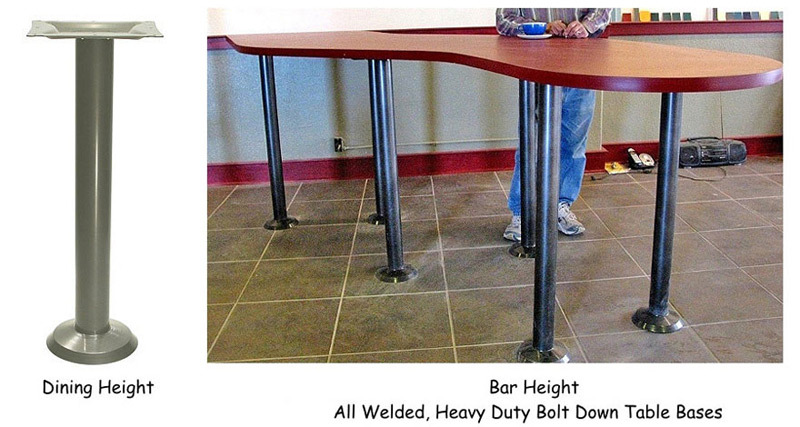 Bar Height Bolt Down Table Bases With All Welded Footrest Option Shown Below.